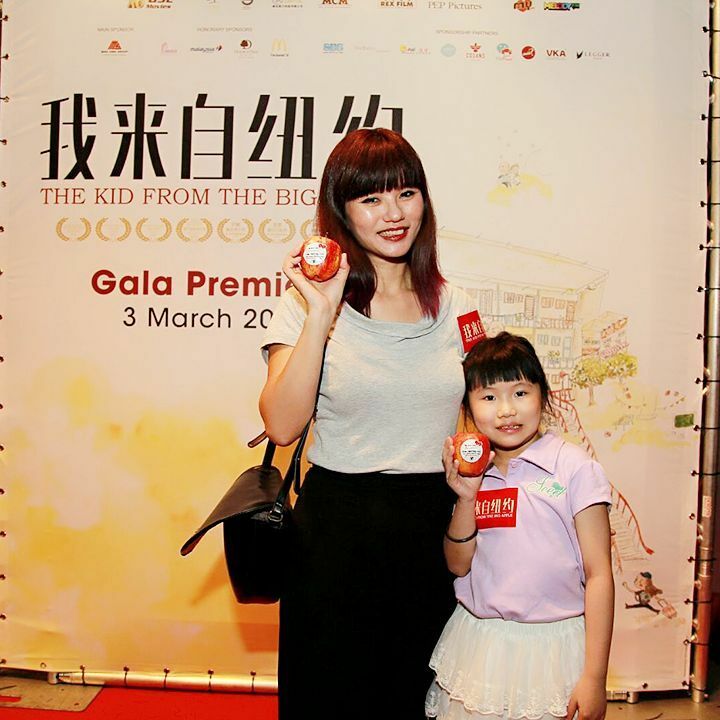 I felt honored and excited to be invited to the Gala Premiere of the awards winning movie – The Kid from The Big Apple last Thursday. Happened at GSC Pavillion Kl, we not only had the chance to watch the movie prior to its screening date, we also met the director and main casts during the event. I even took the opportunity to shake hands with them, yay! 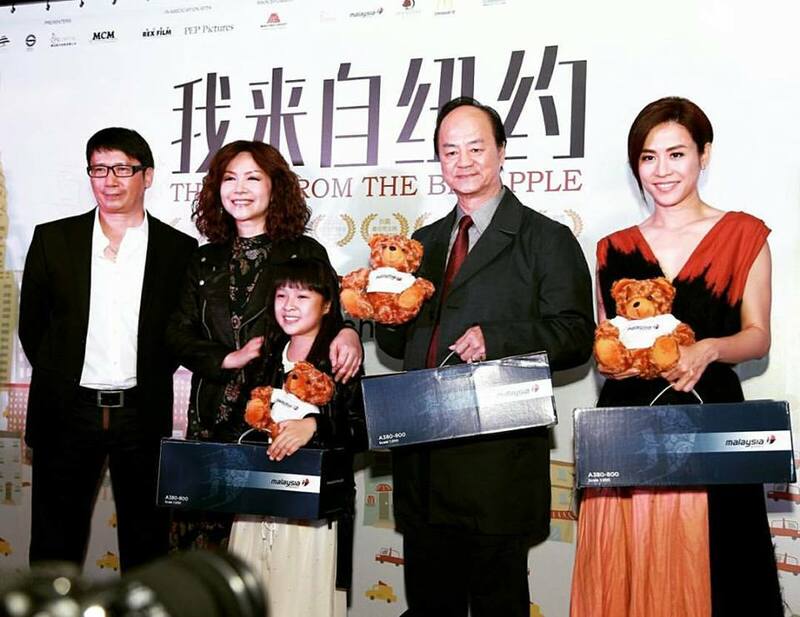 It’s a rare opportunity for us to meet the Golden Horse Award Best Actor Tommy Tam or better known by his stage name Ti Lung, and Jessica Hester Hsuan here in KL. In conjunction with the movie screening, they were in KL to promote the movie alongside with director Jess Teong and the two young Malaysian talents Tan Qin Lin and Tan Jason. The Kid from The Big Apple movie storyline was a girl, Sarah who was born and raised in New York. She visits Malaysia for the first time and learns why her grandfather, Gen and mother, Sophia have not seen each other since she was born and why they care so much about their cultural traditions. Elders see the younger generations as eyesores because of their overly 'westernised' (wild/ care free) behaviour and poor moral's. Whilst the youngsters on the other hand, have no time for their elders, who to them seem belong in a museum. Sadly, this is a growing global phenomenon. It is the director's intent to tell this tale in a witty, comical manner and in doing so, hoping that this little slice of life will touch the audiences' heart. The movie was very touching and hilarious at the same time. 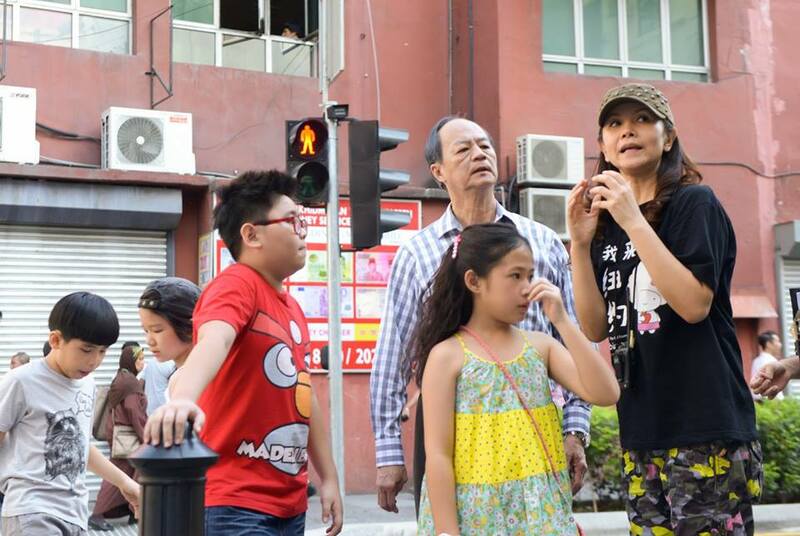 We see familiar places in KL as well as heard familiar songs and familiar ‘rojak’ language which is direct translate from English to Chinese. My elder princess, JR and I laugh and cried in the cinema. It was indeed a great movie talking about the relationship between different generations. For those who are going to watch the movie, do prepare tissue papers ya. In fact, Taiwanese celebrity Vivian Hsu is the executive producer of “The kid from the big apple”. The movie has received International recognition in various film festivals. Do you know that it is also the first Malaysian movie to collaborate with International fast food chain, McDonald’s. In conjunction with this collaboration, the movie kicked off its sneak shows 3 weekends prior to the general release, and had since gone viral and gained rave reviews alike. A production of Three Production Sdn Bhd, the movie is supported also by main sponsor Mah Sing Group, honorary sponsors FINAS, Malaysia Airlines Berhad(formerly known as Malaysian Airline System Berhad), DoubleTree KL and McDonald’s Malaysia. The kid from the big apple is set to hit the big screens this 10th March 2016 on GSC movies. For more information, visit www.gscmovies.com.my or www.facebook.com/gscmovies. According to the movie synopsis, it's seems like a great movie, a movie that most Malaysians can relate themselves too. Will definitely watch it soon. Wow, what an opportunity! How many stars out of 5? I've heard so much about this movie. sounds like a must watch. I read many great reviews on this movie. I wanna watch this too. I can't wait to watch this movie. I am prepared to be taken on an emotional roller-coaster ride. it looks super interesting. be at the premiere of a film must be super fascinating. Looks like good movie...Glad that u met the people behind the movie up, close and personal. Totally relatable movie to our society these days. Looking forward to it's release! Seem an interesting movie. Rarely watch this kind of Chinese movie at cinema. I love this heart warming family comedy. Going to watch it again with my family. good to see another high quality movie produced in Malaysia. i would love to watch it in cinema. Sounds like a good movie though I am not much familiar with the actors. The story line is very meaningful and touching. Plan to watch it when back to Msia. The storyline seems nice. So lucky to meet the actors. Must be fun! This review make me wanna watch this movie. Sounds like a good one!